Herbivores may sometimes consume bones and this is referred to as Osteophagy. This may be due to the lack of insufficient phosphates in the vegetation. Phosphorus a essential mineral for all animals in the development of the formation of the skeletal system as well as biological processes including: energy metabolism, protein synthesis, cell signaling, and lactation. Chewing bones is a innate behavior that allows animals to supplement their phosphorus and calcium. We where fortunate enough to have recorded this footage while out on safari. 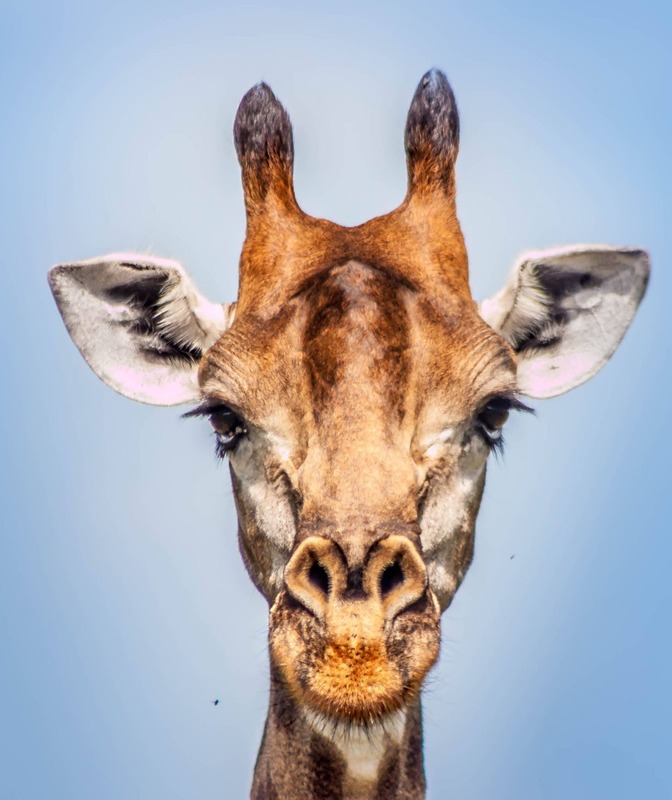 Giraffes have the same amount of teeth as Humans. They have a dental pad at the top of their mouths which helps them grip leaves. Their tongues are incredibly long between 50 to 53 cm. The color of the tongue is a dark bluish color. Giraffes are polygamous various males will mate with female's and after a period of 400 to 460 days to a single calf. Giraffes give birth standing. The new born calf can stand within 1,5 hours of birth and within 10 hours can run alongside of the family. Males are not involved in rearing the young at all. Giraffes have one of the shortest sleeping requirements of any mammal. They may sleep for upto 4 hours a day either lying down or standing. Sleep occurs in short intervals sometimes for less than a minute.